There is an old saying that "It takes a village to raise a child." Paul Savramis knows that this sentiment holds true in all parts of the country, but even more so in areas ripe with poverty and gang violence. 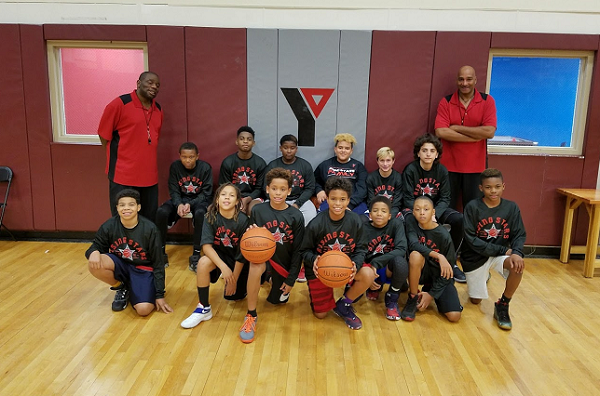 His organization, Rising Stars Youth Foundation, has established a partnership with the Long Island YMCA in an effort to increase the villages of at-risk children in the area. Q: Why does it make sense to partner with the YMCA? Paul Savramis: The Rising Stars Youth Foundation works off the principal of giving each child a opportunity to Play, Learn, and Grow. What this means is that we want our students to develop and grow through the power of teams and through positive social interactions in a healthy and safe environment. The YMCA has long expressed very similar goals. Q: How do you identify what a student needs? Paul Savramis: When we are first approach by a teacher, student, or their family, we sit down and talk with them about their situation. Many lack a support network, while others struggle at school. These children come from all walks of life but because of the wrong environment many are at a risk of turning to a life of crime instead of becoming an active member of their community and a positive influence on the youth of tomorrow. Once we can identify the risk we know what they need and we make every effort to change their environments and provide an experience that will help them achieve balance. Q: Why is community service so important? Paul Savramis: The children of today are the adults of tomorrow. By learning how their community works, they become more prepared to be leaders. And, it gives them the opportunity to see outside of their bubble and to appreciate the struggles of others. Q: How does Rising Stars Youth Foundation help out financially? Paul Savramis: Through a partnership with the YMCA, we can offer many students free or reduced memberships. Their families may also have access. Further, we have many generous benefactors who provide scholarship opportunities to private schools for low-income, at-risk students who would not survive in public schools.